During the activity in the Caamaño Polytechnic, its students were given a laptop. 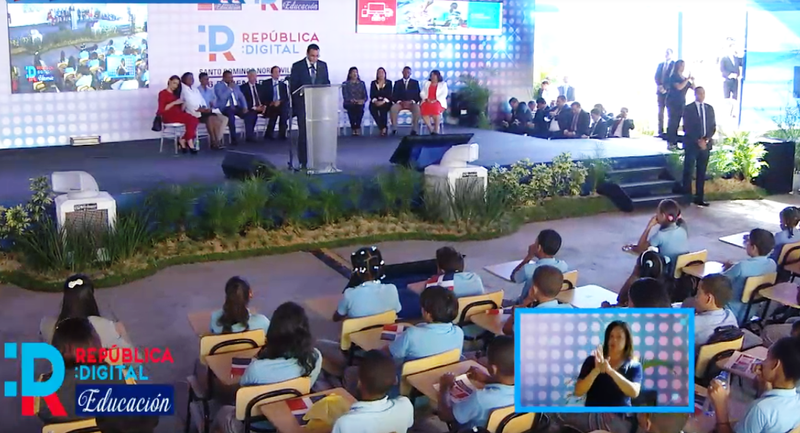 Education minister Andrés Navarro said the initiative seeks to reduce the digital divide, allowing universal and free access connectivity for the various types of devices. “With this program, president Danilo Medina is breaking the barriers of social exclusion, opening new opportunities for progress. It’s transforming Dominican education, from a pencil and paper school, to a school of computers and digital content ,” the official said.